Sam Moore Joins Code of Support Foundation | 2911 Enterprises, Inc.
Code of Support Foundation (COSF) is honored to announce that Legendary Soul Man™ Sam Moore and Celebrity Chef Robert Irvine and have joined COSF’s Advisory Board. In recent years, Chef Irvine and the Legendary Soul Man – Sam Moore have demonstrated their unwavering support of our nation’s military service members, veterans, and their families by creating awareness by leveraging their own celebrity profiles to engage the 99% of Americans who benefit from the service and sacrifice of our nation’s heroes. “Chef Irvine and Legendary Soul Man™ Sam Moore’s respective passion combined with their steadfast commitment of engaging our civilian population is a true testament to Code of Support’s vision to bridge our nation’s civilian-military divide. We are thrilled to have Chef Irvine and Sam Moore join the distinguished ranks of Code of Support’s Advisory Board,” says Major General Alan B. Salisbury, USA, Ret., Chairman, and CEO of Code of Support Foundation. COSF Advisor Board Members include Medal of Honor Recipient COL Harvey (Barney) Barnum, Jr., USMC, Ret. ; former 16th Chairman of the Joints Chief of Staff Gen Peter Pace, USMC, Ret. ; former NFL quarterback of the Philadelphia Eagles and Washington Redskins Sonny Jurgensen; and Men’s Basketball Head Coach for Duke University Mike (“Coach K”) Krzyzewski, among others. “I am honored to be able to continue my support of those who serve and have served in our military by joining the Code of Support Foundation Advisory Board and to support COSF’s efforts by bringing greater awareness to the contributions made by our nation’s service members and veterans who’ve sacrificed so much to ensure our freedoms,” says Sam Moore. “Anytime I get to contribute something meaningful to the lives of our men and women in uniform, it’s an honor that adds purpose and value to my own life. When you get to do so alongside great people, it makes it a true joy. I am thrilled to join Sam Moore and all the wonderful members of the Code of Support Advisory Board and I am ready to work to improve the lives of the best and bravest among us,” says Robert Irvine. Legendary Soul Man™ Sam Moore’s Grammy award-winning voice has been heard around the globe, across multiple music genres connecting audiences of all generations for more than 60 years. Over the span of his critically acclaimed career, Moore’s music has been a universal and driving force to help bridge gaps among social divides. 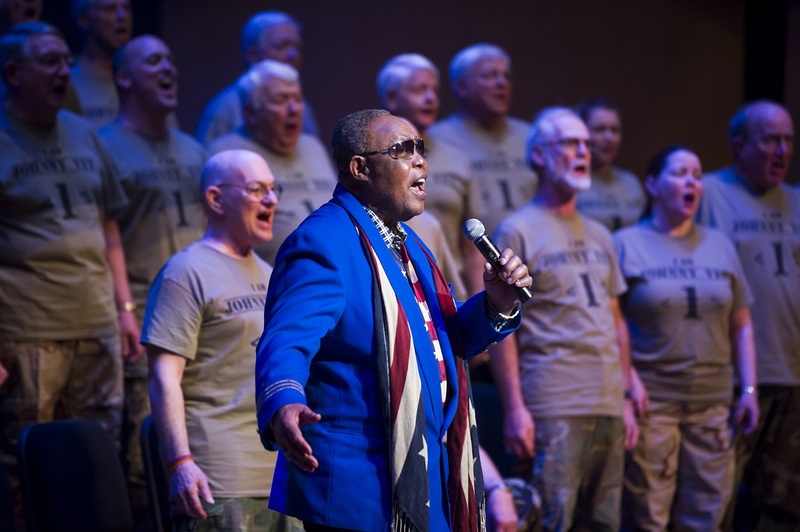 His recent artistic endeavor to bring greater awareness of the nation’s armed services and veterans has been met not only with rave reviews and standing ovations but has also re-engaged civilian audiences who have experienced an awe-inspiring sense of patriotism. Within the past year, Moore has performed exclusive renditions from his An American Patriot album of iconic American classics for several veteran fundraisers including the Opening Ceremonies of the 2017 Warrior Games in Chicago, Johnny Vet: Freedom Isn’t Freein Washington, D.C., and Guitar Legends for Heroes in New York. Moore is the recipient of numerous awards including the coveted NARAS Heroes Award, an AFTRA AMEE Lifetime Achievement Award, the ETAM Living Legend Award, Rhythm & Blues Foundation Pioneer Award, and a MOBO Lifetime Achievement Award. He was also inducted into the GRAMMY Hall of Fame for “Soul Man,” and in 2016 his star was permanently placed in the Music City Walk of Fame in Nashville, Tennessee. Chef Irvine, a former member of the British Royal Navy, is a world-class chef and TV personality. In 2014, he founded the Robert Irvine Foundation to support veterans and veteran causes in need of assistance. The Foundation works to help those individuals and organizations that are committed to enriching the lives of military personnel (active, retired and veterans) and their families. A portion of proceeds from Robert Irvine Foods is given to the foundation in addition to public donations. Throughout the year, Chef Irvine can be found attending troop rallies held by the Gary Sinise Foundation as well as touring regularly with the USO. Maximizing his culinary skills, Chef Irvine visits with service members and their families while dishing up fine cuisine and providing cooking classes. Chef Irvine has been honored with three distinguished recognitions for his dedication to the armed services and our country’s heroes including being selected by the Office of the Secretary of Defense as this year’s Spirit of Hope Award winner. The honor recognizes those who go above and beyond to provide aid to those who serve our country. Chef Irvine is also a designated U.S. Navy Honorary Chief Petty Officer and a recipient of the Bob Hope Award for Excellence in Entertainment and Support of Our Service Members.